B Printed Circuit Board base products (i.e. PCB&#39;s and Modules): These products contain tin-lead solder. High Power Synchro-Booster-Amplifiers. 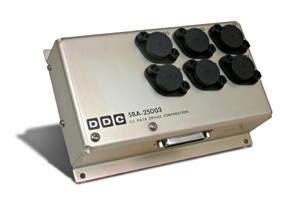 Most compact, easy to use system for high power synchro output. 90V, 60 or 400HZ Synchro Outputs. Kick circuit frees torque receiver rotor to prevent hangups. Very high efficiency.